Leonidas Kirby was a descendent of English parentage who settled in Virginia well before the Revolutionary War. Some of the family served in the Colonial War and in the War of 1812. The family gradually migrated west and Leonidas was born in Green County, Missouri on December 1, 1850, the elder son of Dr. B.F. and Serena Kirby. His father died when he was 6 years of age and after his mother remarried he went to live with an uncle, Dr. O. C. Bender, in Kansas. It was there that Leonidas became interested in, and began reading, his uncle‘s medical books. In 1872, at the age of 22 he moved to Harrison, Arkansas. He was 5 feet, 4 inches tall, weighed 165 pounds and was strong and athletic, remaining so even at 70 years of age. It was said that he “never walked but ran and considered gates for other people, jumping fences when gates were already open in welcome”. Arriving in Harrison as this hearty young man, he set up a drug store and a saloon with $500 worth of drugs and a barrel of whiskey he brought with him. One day when he saw the devastating effects of alcohol on a family he decided that whiskey was harmful. He closed the saloon and gave away his $300 profit. In another early incident, a man brought his young daughter to Leonidas with a kernel of corn caught in her trachea. Leonidas used his pocket knife to perform a tracheotomy. The child lived. During a diphtheria epidemic he helped local doctors with house calls and drugs from his store, stating he could do as well as the doctors. In 1873 Leonidas married Rhoda Virginia Crump, daughter of Beverly Crump, a wealthy land owner from Virginia. The young couple moved into in a 2-room log cabin. Eventually they added enough rooms that it become a large distinguished l0 room house. They had 7 children, Royal (deceased as infant), Nora, Leonidas Jr., (Lonnie), Franklin Beverly, Leader Bender, Henry Hodgen, Alexander Crump. (Franklin, Henry Hodgen and A. Crump became doctors, Leander (Lee) became a pharmacist. Nora’s son and Frank’s son became doctors thus producing 4 generations of Kirby doctors– more came later). In 1875 Leonidas went to St. Louis to St. Louis Medical College and received his diploma in one year. Later he took a full semester in a post graduate course and another short course. In 1881, prior to required state licensure, Dr. Leonidas Kirby was appointed by the Boone County judge to be one of three doctors to form the first Medical Board in the County. These three men were to determine if all others applying were eligible to be licensed to practice medicine in the county. (It was not until 1903 that formal medical education was required by Arkansas to be licensed as a Medical Doctor). 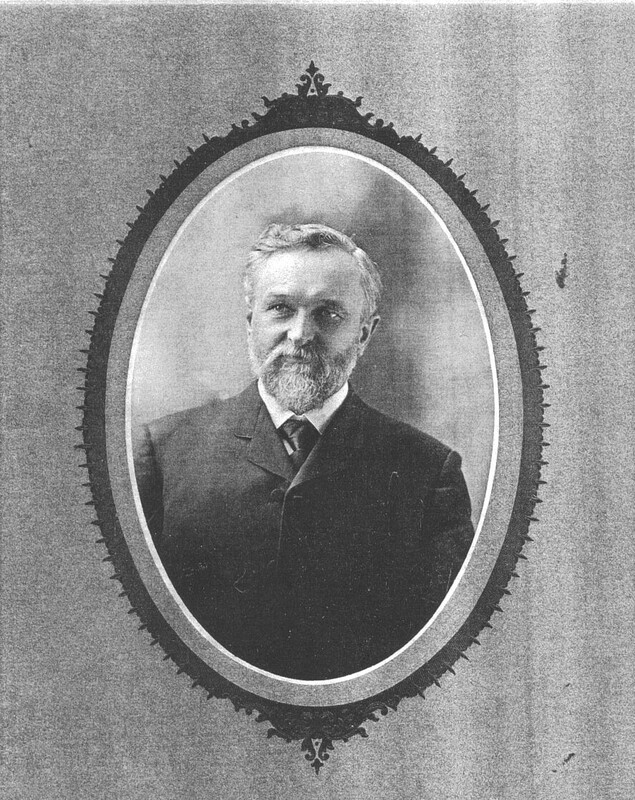 In 1882 Dr. Kirby served as president of the Boone County Medical Society. He became president of the Arkansas Medical Society in 1904. He was also a member of the State Board of Health. A statement from Mayo’s Clinic listed him as one of the top ﬁve physicians in the United States. He had removed appendices as early as anyone in the United States and could exceed most others in diagnosing illness by physical examination. He believed that for every use of alcohol taken internally for medicinal purposes, there was something else that was better. His house calls were made first by horse, then by horse and buggy, later by train (stopping along the way) from Harrison to Eureka Springs and almost to Little Rock. This allowed a larger ﬁeld of medical practice than other country doctors of his era. His ﬁrst car was a Saxon. Later he bought a Model T Ford. In his horse-back house call days, he was known for having ﬁne horses. One favorite horse named Duke was l9 hands high. He would allow Dr. Kirby to sleep while riding between house calls, dodging tree branches so never to dislodge the resting doctor. Dr. Kirby was equally active in his civic life. He was the second post master of Harrison and was member of the school board for 25 years. He was charter member of the Harrison Lodge of Masons, a thirty-second degree mason and was Grand master of the Masons of Arkansas. He laid the corner stone for the Masonic Temple in Little Rock and the Masonic Hall in Harrison. As a Knights Templar, he held all the positions in the state Commandery. Politically, he was a Republican. Dr. Kirby was known as a Bible scholar and deeply religious man. When he was at home at night, he always had evening prayer with the family. He helped organize the First Christian Church in Harrison and was active in the church the rest of his life. He and a friend, Captain Hopper, built the church building. It was still standing in 1960. He also constructed other buildings in Harrison that became the ﬁrst telephone ofﬁce, a department store, a bank, a drug store and a doctor’s office building. Dr. Leonidas Kirby died at the age of 75 on August 20, 1926 in his home in Harrison Arkansas.